At Monet Aesthetic Dentistry, our passion for patients and dentistry bubbles over and flows throughout the dental office. We strive to provide you with dental care that will enhance the quality of your life. Our team improves your overall health by focusing on preventing, diagnosing, and treating conditions associated with your teeth and gums. 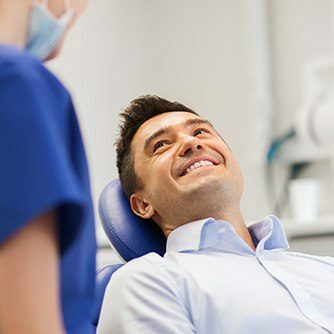 Whether it’s the latest in cosmetic dentistry, tooth-colored fillings, or beautiful porcelain veneers, Dr. Metzger can provide the best possible results and take care of a wide range of your family’s needs. We work hard to achieve excellence and establish relationships with patients that will continue for many years to come! Far too often, going to any doctor’s office can be a cold, sterile, and overly business-like experience. At Monet Aesthetic Dentistry, we strive to provide the exact opposite. We love getting to know our patients well, learning about their lives and goals, and helping them achieve strong, healthy smiles that beautifully showcase their special personalities. Dr. Metzger can’t wait to care for you and your loved ones well into the future. All of the services and advanced technology in the world aren’t important if patients simply don’t feel comfortable in our dental office. That’s why Dr. Metzger and all of our team members provide such a friendly and gentle approach to care. We have a true talent for helping all ages – from young children to grandparents – feel right at home! Please don’t hesitate to let us know if there’s something more we could be doing to make your appointment better. 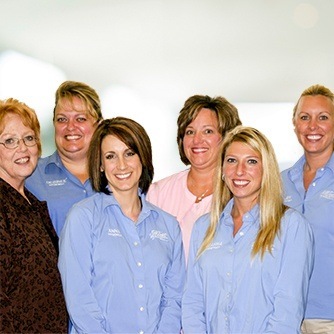 Exceeding expectations is always important to our Farmington dental team. That’s why we strive to provide a “Ritz Carlton” experience that leaves patients with new reasons to smile long after they’ve left the practice. You’re our honored guest during every scheduled visit, and we’ll do whatever we can to help you feel at ease and stress-free. Any contact between other dental specialists and/or insurance companies will be personally handled by us as well – you won’t even have to lift a finger!